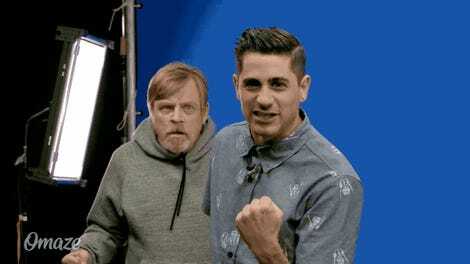 The people behind The Last Jedi are invested enough in keeping all unrevealed information about the film secret that, even as the movie premieres, they’re not giving late night hosts clips of it to show. This creates a dilemma for hosts: how to help promote a project you’re interested in—which is traditionally part of a late night host’s job description—without any material to work with? Intriguing: Kylo Ren likes naps! Also, Reylo confirmed. I knew it. The action figure antics start at around four minutes and ten seconds in, though the interview is great, too. 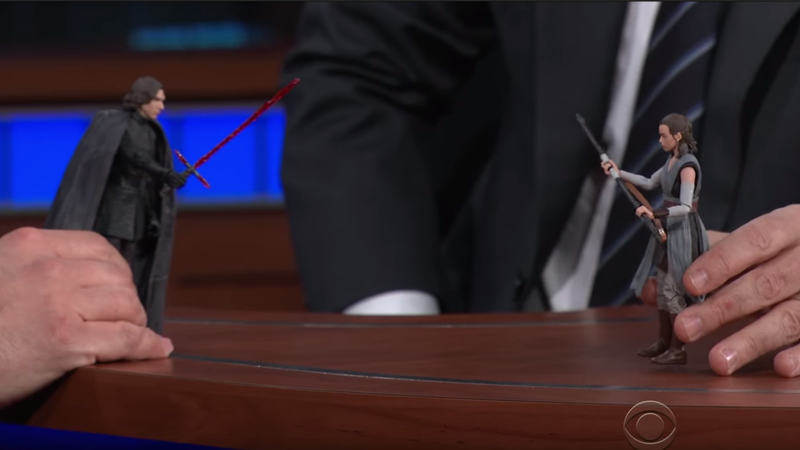 Adam Driver is a very shy man, and Colbert plays well with him here.